I know that it is already August but the last weeks of June have brought me happiness in little (and big but my not-really-so-big-for a Filipino-family) packages. I feel blessed working where I work now with kind co-workers and management that cares about its employees. I am always happy whenever I walk into my work place and there is a sumptuous brunch that is waiting for us. It is not everyday but I am always grateful. 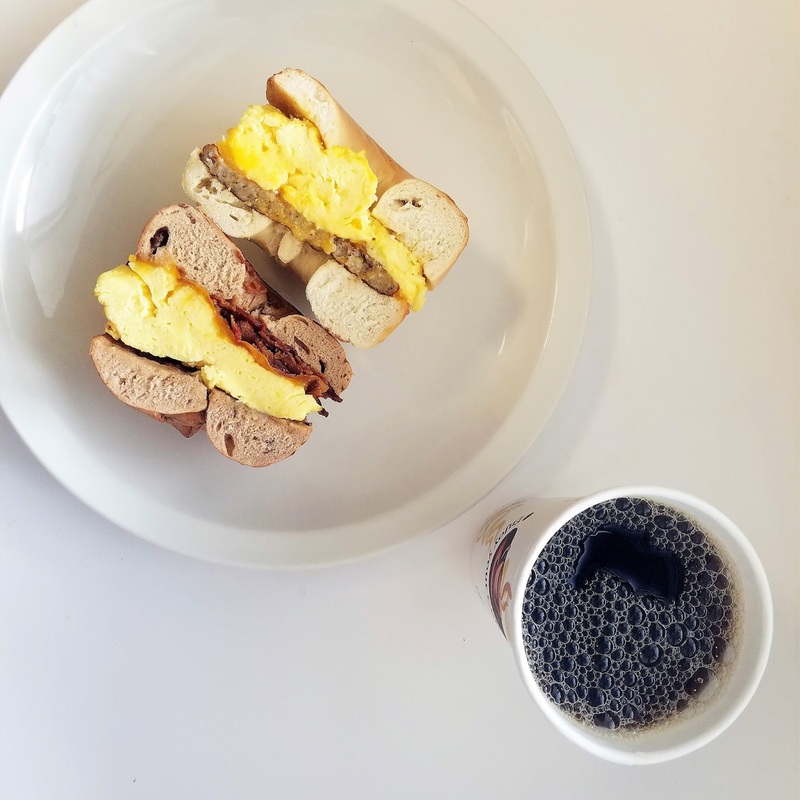 This time I grabbed a bagel with egg and bacon sandwich and coffee. As always lunch with my sister, nephews and brother in law after church is what brings me so much happiness. This is one of our family traditions that means a lot to me. I get spoiled every single time with delicious Filipino food that my brother-in-law cooks. 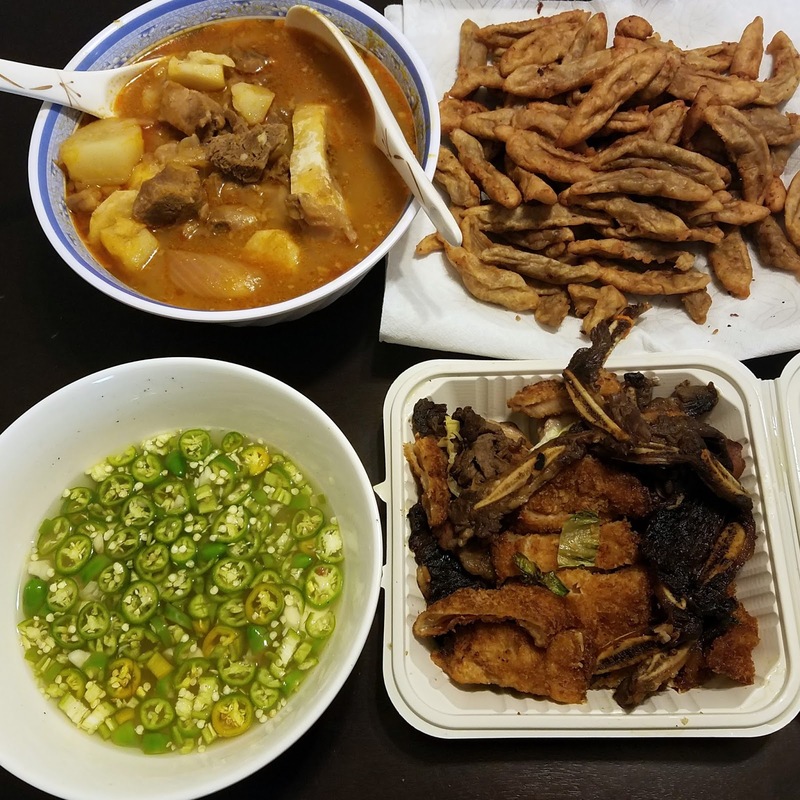 This time we had sinigang (beef in tamarind broth), fish cakes, squid and korean beef ribs. (Rice is a given since we are Filipinos.) The vinegar with jalapenos never fails to bring me to a state of food coma! 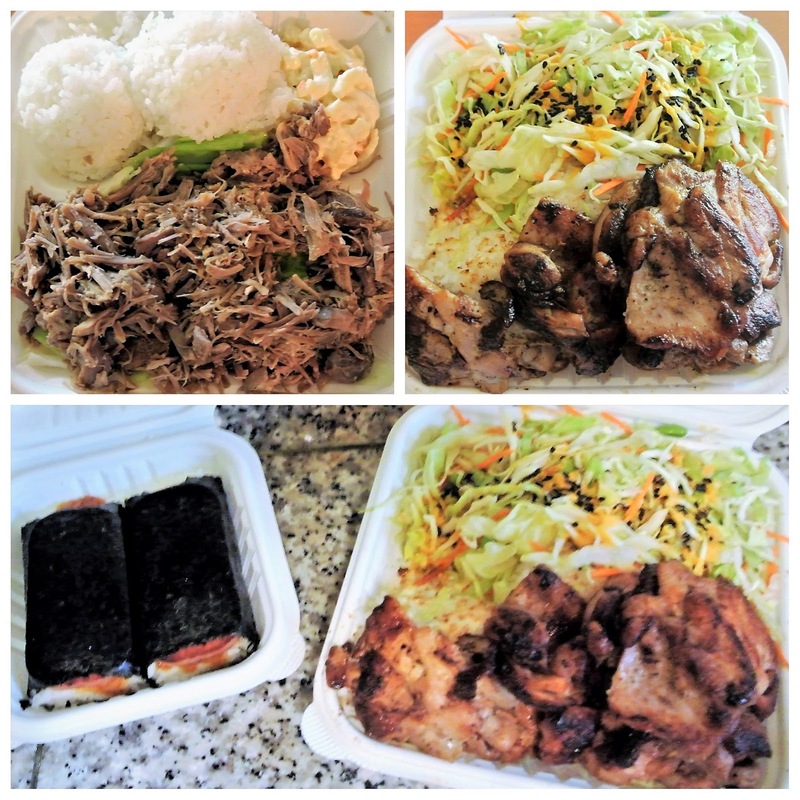 Mr Sweetie surprised me with Hawaiian food for Takeout Friday. He always gets me the spam musubi (which is the only time I eat spam). We devoured the kalua pork and bbq ribs. Total carnivore heaven! I had a stomachache one Saturday so we opted to stay home and had Mediterranean food delivered. It was yummy and the down time was much appreciated despite my tummy ache. I am grateful for these simple joys and blessings of family, food, love and work.